Here’s an update on the current goings-on with the blog. As I’ve written before, I’ve brought back Pinterest to the blog as a social network. So far, it seems to be working out fairly OK. Granted, none of the social networks are barn burners in terms of site traffic. The main pressing concern ties into the future of this blog. No, it’s not going away—I still like blogging. It’s the platform I’m using, WordPress, that I’m questioning. 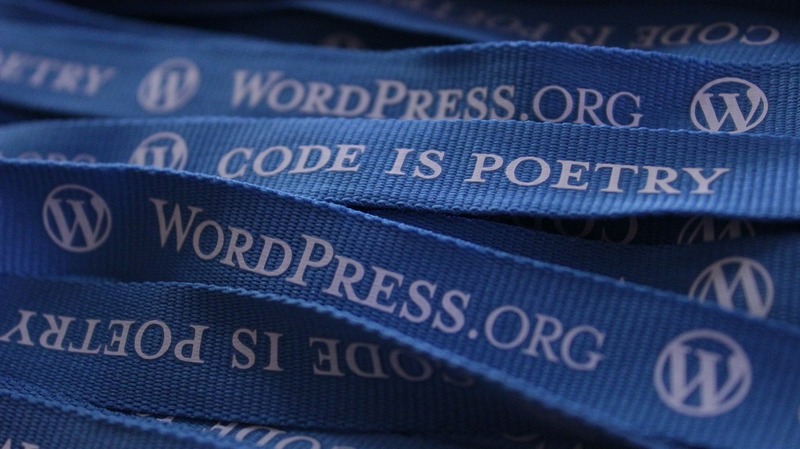 Since the day I launched this blog (way back in 2010), I’ve been using WordPress to run it. At the time, WordPress was primarily a blogging platform that could also handle creating and managing websites. That appealed to me, as I wanted something more robust than Blogspot (my earlier blogging platform), but was still fairly easy to use. Since then, WordPress has provided me with a range of new skills. It’s also offered related activities, such as my attending several WordPress WordCamps. And WordPress itself now powers about a third of all sites online. However, WordPress has also changed a lot since 2010. For starters, it’s grown increasingly larger and more complicated to manage: see the number and complexity of plugins, child themes, etc. (Fixing “error establishing database connection” messages, such as the one I had this weekend, isn’t fun.) There’s also its security issues, which are an ongoing source of concern. Finally, WordPress seems to have shifted away from a blogging focus to being more of a website building platform. See its introduction of the Gutenberg editor, which months later is still controversial. I’m not the only one who hasn’t warmed up to it—the Classic Editor plugin is currently at a whopping 4 million installs. So overall, I think my earlier enthusiasm for WordPress has waned, and to the point I’ve been considering alternatives. I know I’ve been using WordPress for a long time, but I figured a lot’s changed since 2010, so why not my blogging platform? ClassicPress is a fork someone made of the pre-Gutenberg version of WordPress. Forked software has worked out for other software in the past—see LibreOffice versus OpenOffice. That said, ClassicPress is awfully new. I’m also not sure what its long-term future looks like, or if it can overcome the same issues WordPress suffers from (security concerns, bloat, etc.). There’s also a lack of an easy way to export a WordPress site to the current version of Ghost. The Ghost export plugin for WordPress doesn’t work with the current version. Thus, one has to import said exported file into a previous version of Ghost, then re-export it as a usable file. Free themes also were harder to come by for Ghost, versus a few other choices. It also doesn’t have an app for iOS, though it has one for Android. Finally, trying to install Ghost via the one-click installation on Digital Ocean threw up errors (and a crash during installation). Finally, there’s Hugo, a static site generator. Such generators create a site that’s static files; while not dynamic or database-using like WordPress, static sites have the advantage of being extremely secure, as well as lightweight and fast. Hugo also has some nice looking themes. Fortunately, a few GUI front-ends for Hugo are available, including Forestry.io, a web-based CMS that’d provide a WordPress-esque front end. Testing Hugo on my Linux laptop, I found it definitely “techie,” but also pleasant to use. No databases required, just easy-to-read files, for posts is a big plus. However, the downsides are that Hugo’s not as easy to install or use. (Markdown, the language it uses for reading posts, isn’t too difficult, but…) There’s also a few fancier features it lacks given it’s a static site generator. It also requires “building” a site at once, which might be a bit slow. That said, my main concern is that Forestry.io (and Hugo to some extent) is tied to GitHub, an online repository aimed at software developers. Changes are pushed through to there, with the option to tie it into a third service (Amazon’s servers, etc.). It sounds like running Forestry/Hugo would either require: going with something less convenient, such as a text editor on my laptop to write files; or bailing on DigitalOcean for GitHub Pages (or use some complicated means to get files to my DigitalOcean account). Forestry.io seems to support FTP uploads to a self-hosted account like DigitalOcean, but still requires a GitHub account/intermediary. 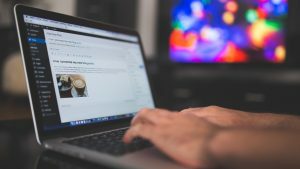 Which alternative to WordPress do you suggest? Or should I stick with WordPress regardless of what happens in the long run? You might want to take a loot at Bludit (shameless plug: you’ll find a review on my website). It’s nowhere near as powerful as WordPress, but it *is* extensible. Also light, fast, and actively maintained by a small but friendly and helpful community. Hope this helps! Hi Anthony! Thanks for including ClassicPress in your article. We’re building a strong community and user base and fully expect to be around for many years to come. We’ve worked hard to create a strong organizational structure that facilitates democratic discussion & decision-making and are led by the ClassicPress community for the direction of the project in version 2 and beyond. You can see in our Roadmap (https://www.classicpress.net/roadmap/) that improved security and less bloat are just two of the many improvements that we are making ongoing progress toward. Our petitions process (https://petitions.classicpress.net/) is one of the many ways that our community expresses what they want most out of ClassicPress; you can see more suggested improvements there. You are welcome to join us anytime in the forums (https://forums.classicpress.net/) — we’d be happy to answer any further questions! Thanks again and I hope to see you over in the forums!